Zao wouldn't be able to deliver such outstanding outdoor adventure experiences and instruction without outstanding staff and volunteers. Our non-profit society is lead by a volunteer board of directors. The program director reports to the board and supervises all administrative and field operations, and leads the team of professional and apprentice guides to achieve Zao's vision. All of our lead guides are certified with the Association of Canadian Mountain guides, and are required to have significant ministry experience. All staff undergo background screening including regular criminal records checks. We're a small team of people doing big things in the backcountry on Vancouver Island. If you are considering joining us, please get in touch! Check out our Join the Team page. To see who else Zao is affiliated with, please see our affiliations page. Alexis has been with Zao since the spring of 2014, when she was serving as our summer intern. She has since served in various roles with Zao; staff guide, lead guide, and assistant program co-ordinator. As of the fall of 2018 she has taken on the role of Communications Director, and is the main contact for Zao. You may see her at various churches around the island doing presentations, or out in the backcountry with a pack on her back. She has a BA in Outdoor Leadership from Columbia Bible College, and is certified with the ACMG as an Apprentice Hiking Guide. Alexis is originally from Alberta, however something about the awe of the ocean and the mountains has given her a permanent love for BC. Alexis has been involved in summer camp ministry for many years in BC and Alberta. Some of her favorite outdoor activities include skiing, kayaking, and hiking. Alexis lives with her husband in Black Creek and works at Mt. Washington Alpine Resort as a professional ski patroller during the winter season. She holds advanced wilderness first aid and OFA Level 3. Feel free to get in touch with her for any questions you may have or to chat about outdoor ministry and how you might be looking to partner with Zao. "Originally an Alberta boy, I grew up hiking and camping with my family once or twice in the summers where my love for the mountains began. Years later at a summer camp I discovered my passion for the outdoors and was led to take Outdoor Leadership at Columbia Bible College. Throughout those four years I found my love in white water kayaking and mountaineering, and I'm currently working as ZAO's program coordinator and lead guide. I love having the opportunity to share what I am passionate about with others and I relish the opportunity to do so. "I am a fan of the simpler sides of life - surfing in the rain, having sand in everything I own, and swimming through some higher class rapids." Trevor joined us as a volunteer in 2013 as Zao was beginning its development on Vancouver Island, and he leads our Rock Climbing Program He lives in Campbell River with his wife and son, and is originally from North Vancouver. Trevor's first backpacking trip was with an outdoor ministry, Beyond Malibu, back when he was in grade 11. This proved to be a formative experience-- He was transformed by the gospel, and completely hooked on mountain adventures! In his 20s Trevor completed a semester-long, professional guiding program with Slipstream, and worked as a guide on Vancouver Island. He is now serving as a volunteer professional with Search and Rescue, where he is a Mountain Rescue Team Leader and Rope Rescue Team Leader. He is certified as a Top Rope Climbing Instructor with the ACMG. 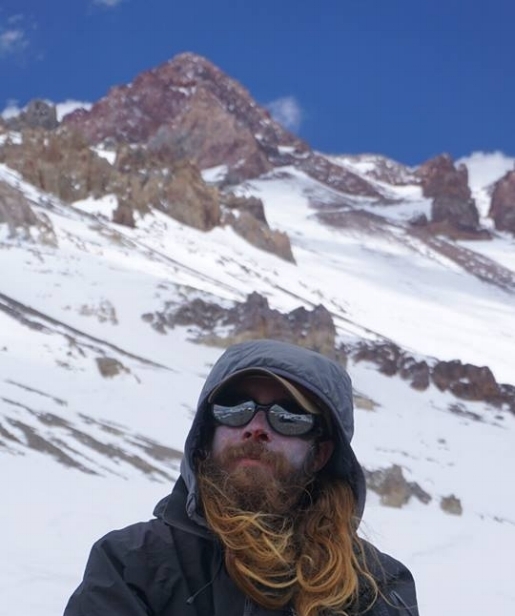 After many years of backpacking, climbing and skiing, Trevor feels most called to a role serving and teaching young people, and a future generation of outdoor leaders . He has a heart for young adults. Trevor is our technical and gear guru with particular skills in mountain travel and risk management, as well as woodwork and carpentry, which is his primary vocation. He can eat bagels and sausage for days upon days, as long as his personal mustard supply holds. Our volunteer board of directors meet monthly, and our ministry is directly accountable to our denomination, the Canadian Baptists of Western Canada. Zao is currently looking for more people to join the board team. If you are passionate about outdoor ministry, or are a member of a CBWC church, please get in touch with the board. Feel free to contact Board Chair Bill at bill.fbcport@shaw.ca.